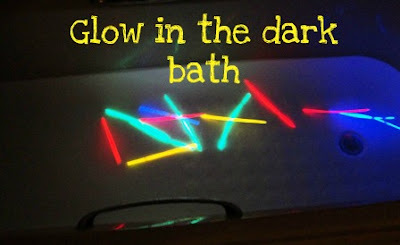 A while ago Play At Home Mom posted this fabulous selection of glow stick activities, & amongst them was a glow stick bath! 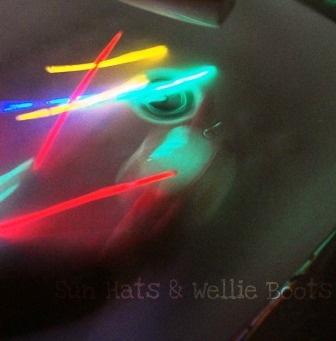 It's been one of those things that's been on my 'to do' list ever since, & we finally got round to adding them to a bathtime the other night! Minnie didn't know anything about it so it was a magical surprise as she opened the bathroom door! I picked up our glow sticks (20 for £1) from Poundland, & just added them to the bath. 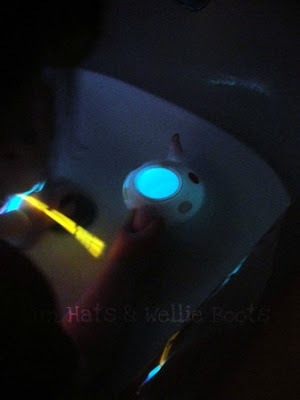 Minnie LOVED the glow sticks & was fascinated by the underwater glow & how much light shone around the bath, the walls, & her body! 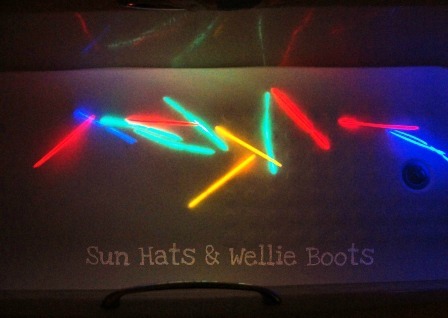 She splashed the water around creating colourful illuminated ripples & swirls - which resulted in lots of giggles. 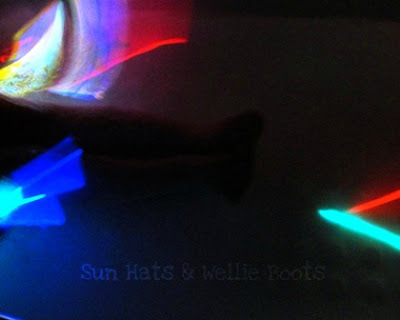 She explored shadows, colours, & how she could 'hide' the lights, before adding them to her plastic teapot which created an amazing 'light up' effect. 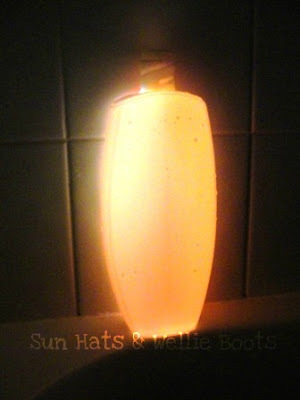 She continued to explore this idea by adding more light sticks to an empty bubble bath bottle & created this neat bath light. 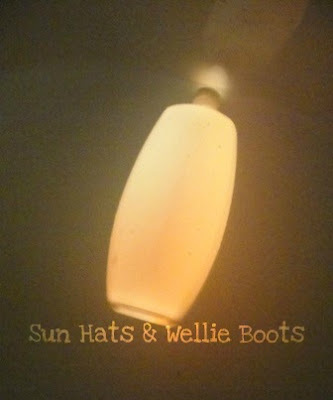 This was so much fun, & prompted much exploration & discovery. 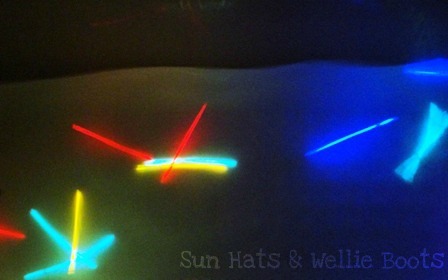 The colourful glow combined with the water produced a surprisingly calming ambience too, perfect for bedtimes!